Everybody seems to have a handle on this except ME! And school hasn’t even started yet, has it? I had those feelings, too, as a young teacher. When I search the internet looking for ideas, it seems that all I find are neatly labeled bins, brightly decorated bulletin boards, rooms decorated by theme, and teachers who have their plans finished through October and are writing a blog to boot! They are selling their beautifully designed materials on the internet, managing a family, mentoring a student teacher, and on and on. It is very overwhelming. I was just looking at teacher websites this week and I started to remember that first year of panic…and I’ve been teaching for over thirty years! I’m not ready yet either…but I will be! I find it rather upsetting, too. But I know I will do what I did last year. I will plan out my week, set my own deadlines, and have my room in tip-top shape before school begins. It will be neat and clean, but not flashy. It will have organized bins, but no fancy labels. My teacher’s desk will be tidy…initially. Then reality will set in. I will clean my classroom every afternoon after the last bell. But there will be experiments that are messy. There will be students who are careless about the mud on their shoes. I will find chewing gum on the bottom of desks. It’s kind of like your home. And believe me, my house doesn’t look like a magazine photo. But I will do THE BEST I CAN WITH THE MATERIALS I HAVE TO WORK WITH. Remember, students won’t remember everything you say, but they will remember how you made them FEEL. Think back to your childhood and high school years. Can you visualize the decorations in all your classrooms? I consider myself to have a pretty good visual memory, but for the most part I remember messy classrooms, or those devoid of any decorations whatsoever. I simply can’t remember rooms that looked like the beautifully decorated ones that you now frequently find on the internet. But, oh, the memories! I remember the laughter, the fun lessons, the interesting conversations, and the occasional outlandish incident. BUT I DON’T REMEMBER ROOM DECOR. I am not saying room decorations are not important. I am saying DO NOT COMPARE YOURSELF TO VETERAN TEACHERS who have had years to compile bulletin board materials and make purchases! Unfortunately, in the teaching field, there are many of us who compare ourselves to others. Even I find myself judging whether I’m as good as the teacher next door. It’s really rather common. But do not let it paralyze you and prevent you from moving forward. Instead, get focused and get started! Decorate to the best of your ability and then LET IT GO. Make a great plan for the first day of school. Make lesson plans for the first two weeks. Make a list of things you would like to do in your “spare time” (another story). 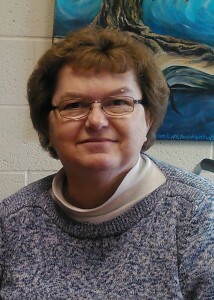 If you teach early elementary and will be recognizing birthdays, find out who has a birthday this month. How do you plan to acknowledge it? Make a decision and go with it. There! You’ll be all set for the first institute days and you will be well on your way to a successful first year! What’s the Big Deal about Seating Charts? Seating charts are a HUGE deal in the classroom. They not only help control student behavior but also provide structure that is essential to the first days of school. When I was a new teacher, students were always begging me to switch the seating chart. They were just dying to sit by their friends, or to move to the back, or to sit by the window, or to “see the board better” (of course they could only see the board in the seat next to their best friend). 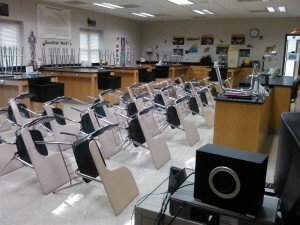 In fact, I even let 28 sixth graders pick their own seats at the beginning of my first year teaching. Partly this was due to the fact that the desks were all different sizes, and they needed to find the “perfect fit”. Partly it was due to my own ignorance! What a ticket to chaos! Changing seats at the whims of students became a real chore. One reason I caved in was because I wanted students to have some choice in the classroom. Another reason I allowed it was because I liked the change of scenery, too. Nevertheless, it was a Pandora’s box that I wish I had never opened. Who goes to the back corner? Hmmm…I make note of this! Who chooses a seat in the front, middle? Interesting! What groups of girls/boys gravitate to one another? Who seems to be left out of the group and seeks no particular area to sit? Who is very vocal about their choice of seat? Who is very compliant even though they get what is deemed the worst seat in the room? The old saying, “You can observe a lot by watching,” really comes into play here. I can start drawing conclusions very early in the year by watching the behaviors of students who choose their own seats. I do record the first seating chart in pencil and then watch things play out for a couple of days. It doesn’t take long for me to separate the ne’er-do-wells from one another and bring the shortest students closer to the front. Students having difficulty hearing or seeing become obvious fairly quickly, and they are moved also. Interestingly, I find it easier to make observations of behaviors first and then change the seating chart. To be fair, I do tell students the first day that the seat they choose may or may not be permanent. Then I pose this question: “What seat would you choose if this were a rock concert and I were the performer? !” Of course that is met with a chorus of groans. If they want their money’s worth, they will probably want the front seats, right? Once I find a workable seating arrangement–and believe me, it takes tweaking–we stay that way until necessity dictates otherwise. No musical chairs for me! It’s too time consuming and disruptive. Be sensitive to the fact that younger students particularly like seeing “their desk” on the first day of school. It is comforting and reassuring that they have their own private space with their name on it where they can put their things. I remember my first day of kindergarten in 1964 asking, “Where’s my desk?” only to find that they only had tables. Bummer! 1. Substitutes will need one for attendance. 2. If mom or dad comes in after school for their child’s make-up work, can you locate the seat quickly? I once changed the seating chart the day of parent-teacher (evening) conferences. A mother wanted to get a book out of her daughter’s desk, and we could not locate the desk! The desks had no name tags (6th grade), and in my haste, I had not made a copy of the seating chart. We looked in EVERY. SINGLE. DESK. I was very embarrassed. 3. 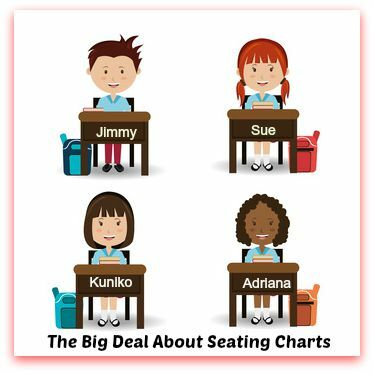 If you have other teachers come to your class for art or music, or a guest comes in to make a presentation to your class, it is very helpful that you either have a seating chart handy or visible name tags on the front of their desks (lower elementary). But the BIGGEST reason for a seating chart–classroom management/structure. Do not underestimate the importance of this valuable tool–especially at the beginning of the school year!